Yesterday was the opening of #0000FF, an online gallery founded and curated by Georges Jacotey. The gallery is hosted on facebook, (it is a facebook page converted into a gallery). 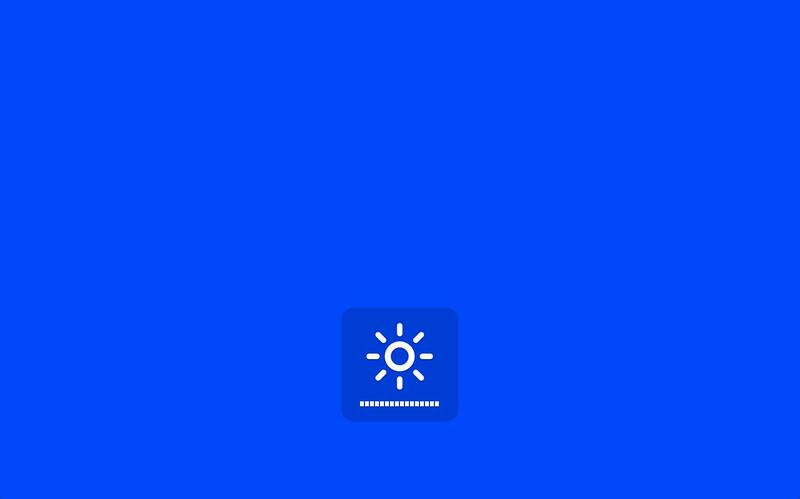 With the opening #0000FF launched its first show called Line #1, presenting four pieces, one by artist, and that's what I loved, how the artists presented their pieces through the facebook features. 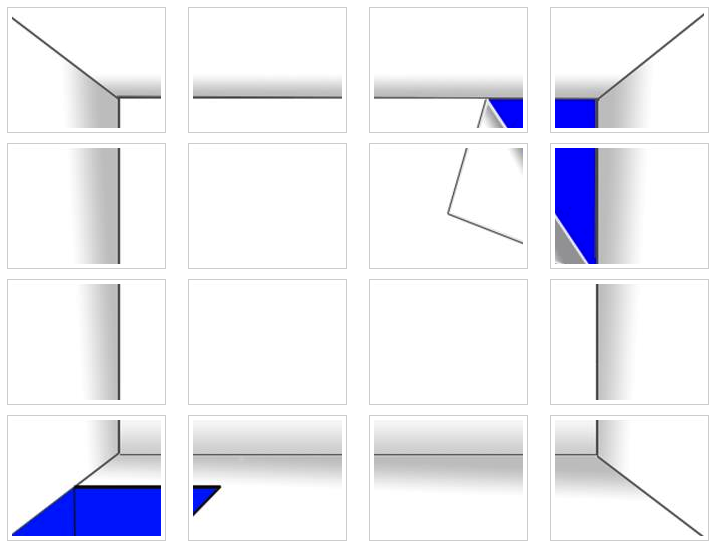 You can see two different ways so far, one is a kind of digital "flip book" by viewing an entire animation passing the pictures/frames one by one and the other one is a piece divided to be displayed as whole in album view. 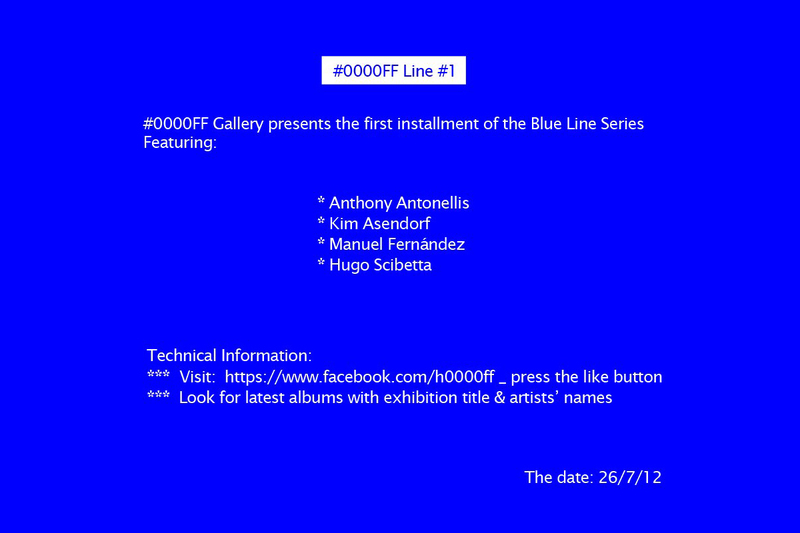 "#0000FF Gallery presents Line #1, the first installment of a micro-exhibition thematic series featuring the work of Anthony Antonellis, Kim Asendorf, Manuel Fernández & Hugo Scibetta. 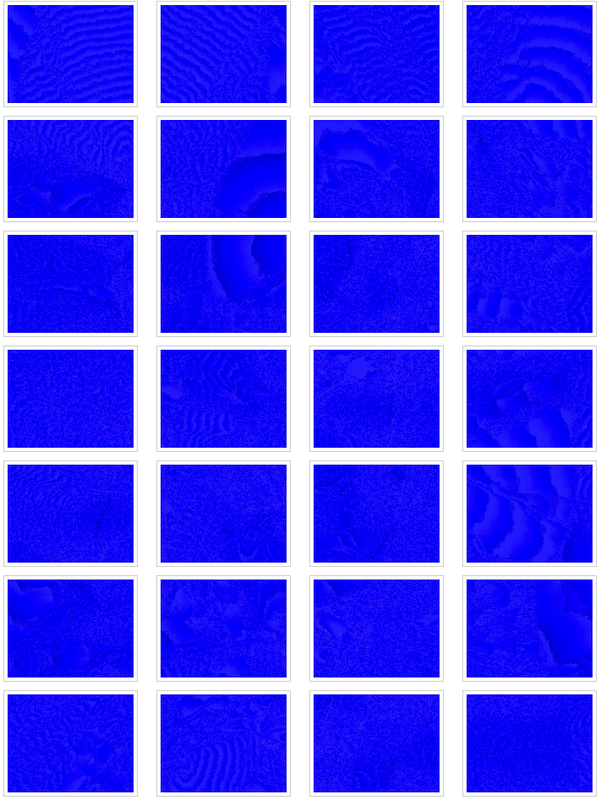 Each artist will present a single piece inspired by and paying tribute to the 'Blue Aesthetic'. The necessity for aesthetic interaction between users and online interfaces was evident ever since the appearance of the first social network sites. Our contribution, wheter it is an outcome of an online curatorial process or simply them alterations to satisfy our personal taste, has prove to be a vital factor for the success of any new media. 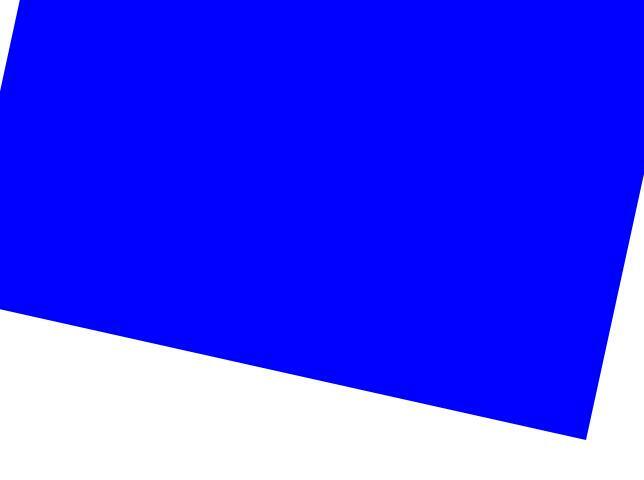 By being a Facebook Art Gallery, #0000FF's goal is to enhance facebook users' visual experience and challenge the network's limitations by addressing aesthetic, social and political issues."